The renovation works of the Main Library 2/F Learning Hub (Phase 3) will commence on 28 May 2018. During the renovation period, the Special Education Needs (SEN) room 420 will be temporarily relocated to Discussion Room 2, Collaboration Zone, Level 3, Main Library. 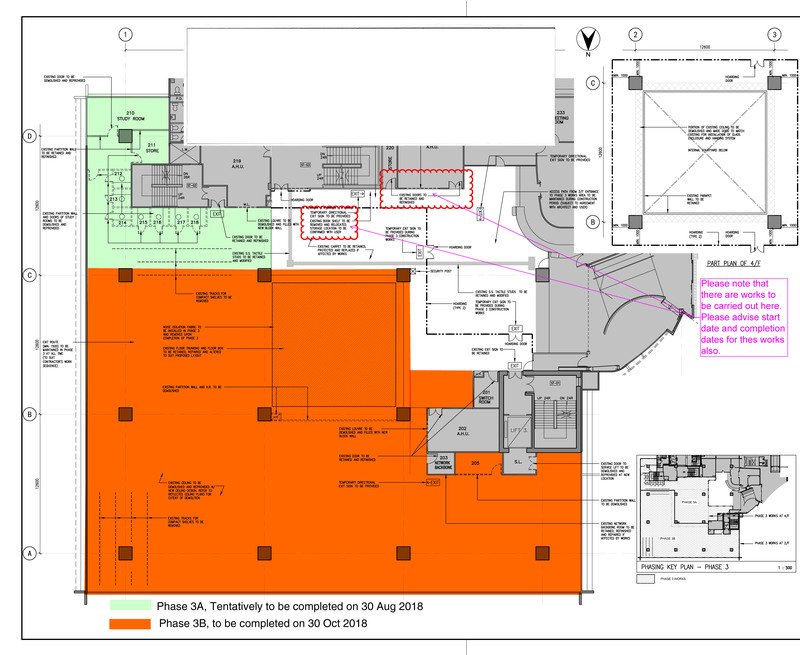 For more details on the Renovations Schedule, go to http://lib.hku.hk/lhub/schedule.html​. For enquiries, please send a Feedback message via the webpage. The Libraries thank you for your patience during the Main Library 2/F Learning Hub renovation works.